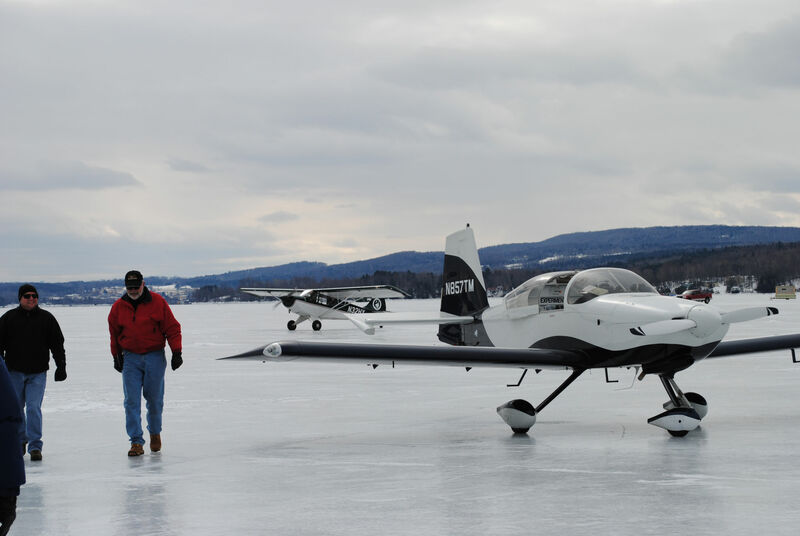 The authorities allowed us to mingle with each other and have lunch together across the line and to see each other’s airplanes during this event only. 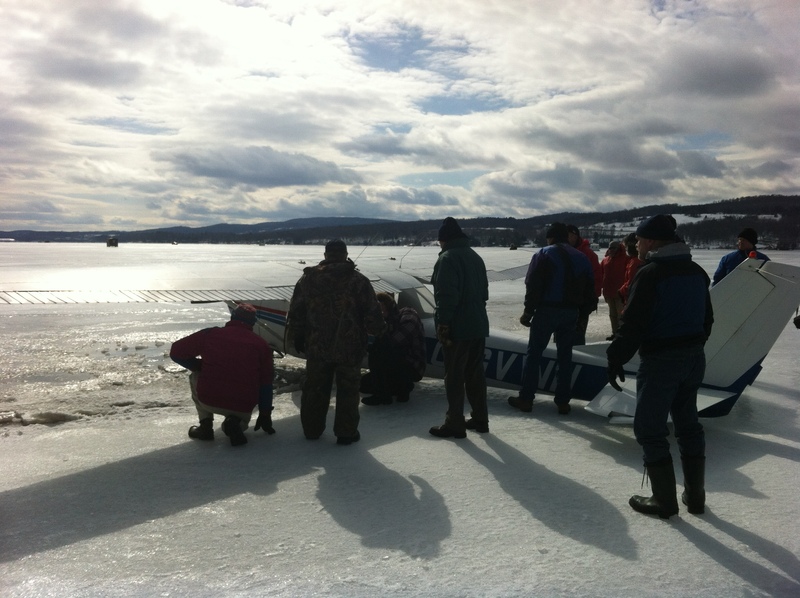 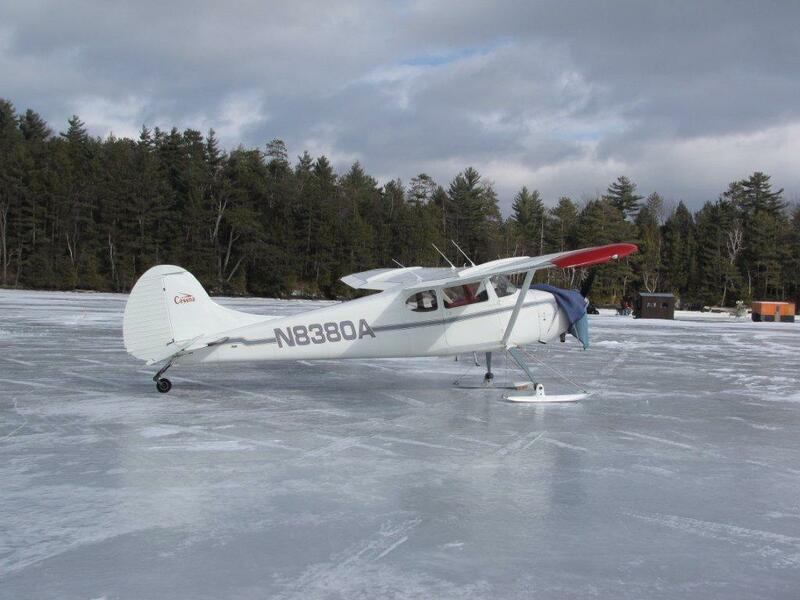 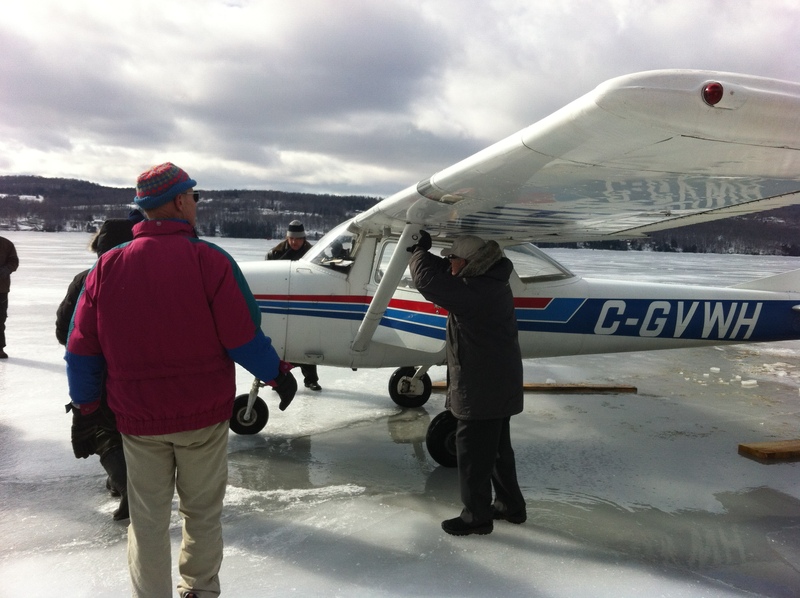 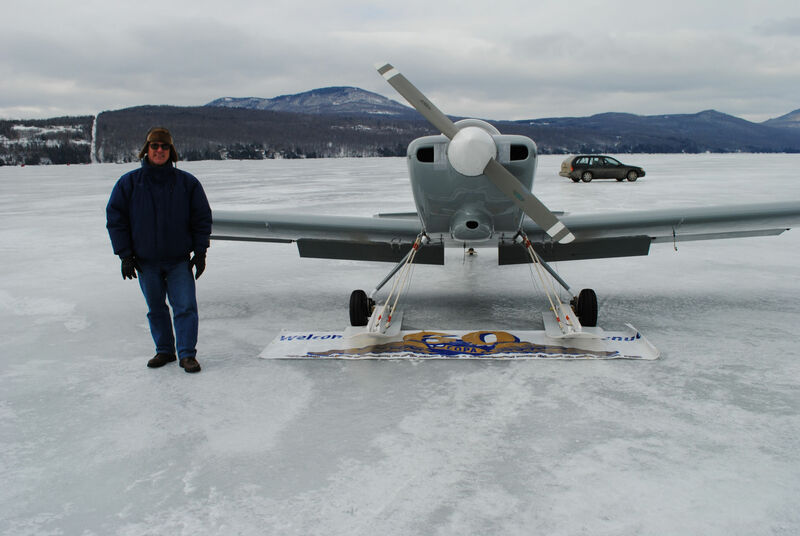 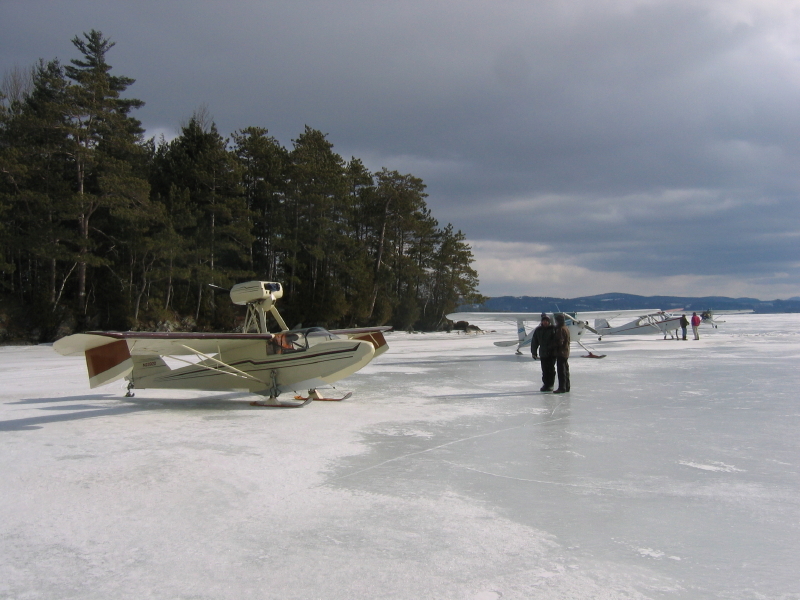 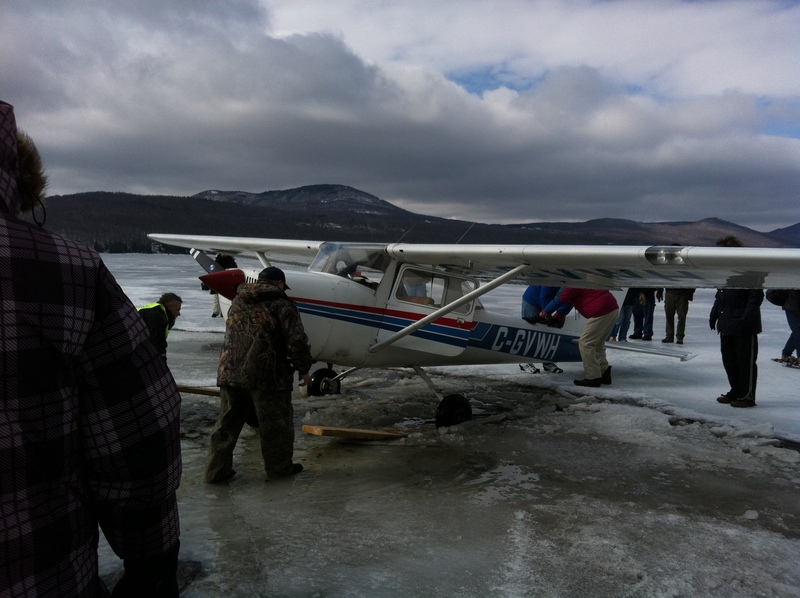 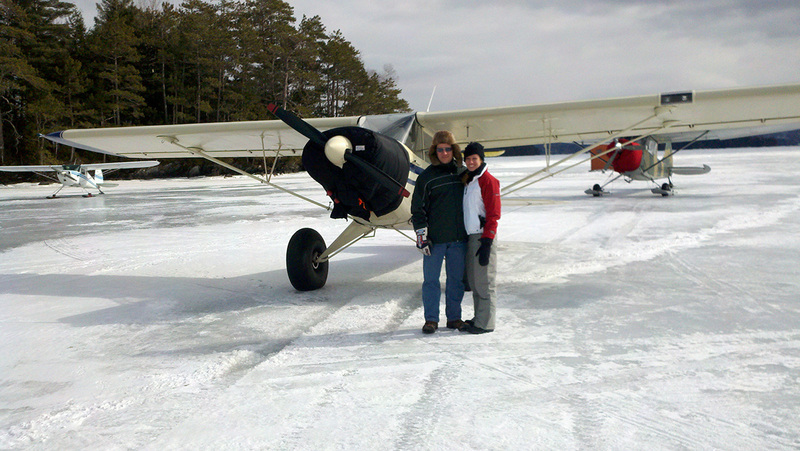 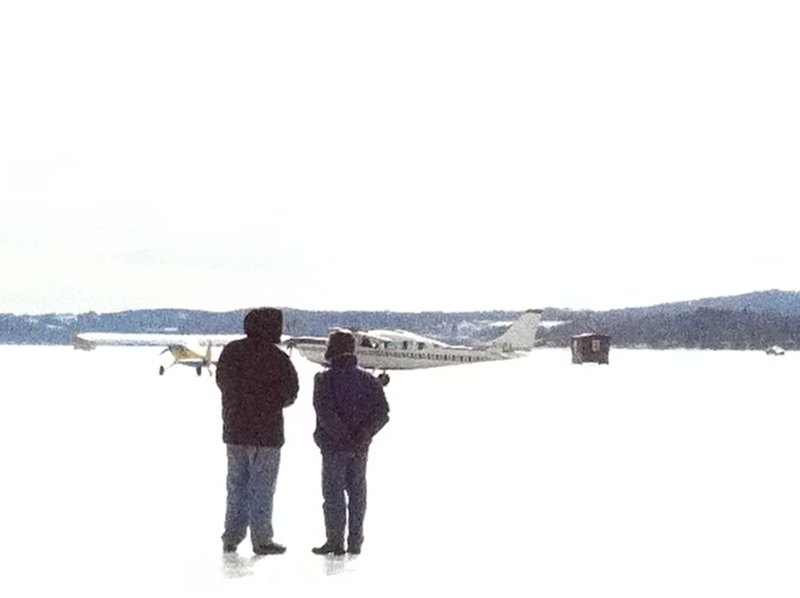 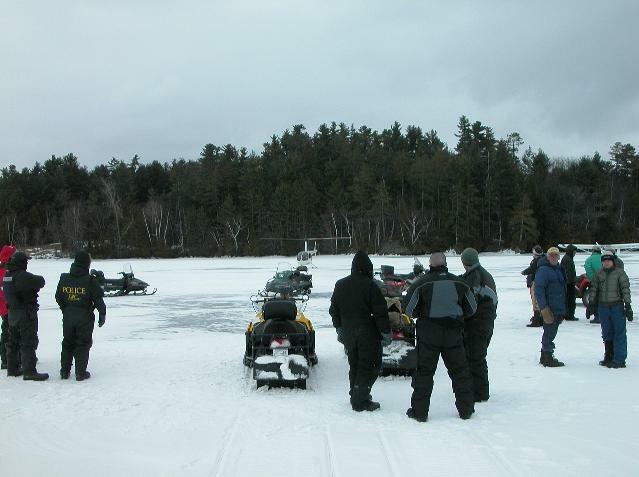 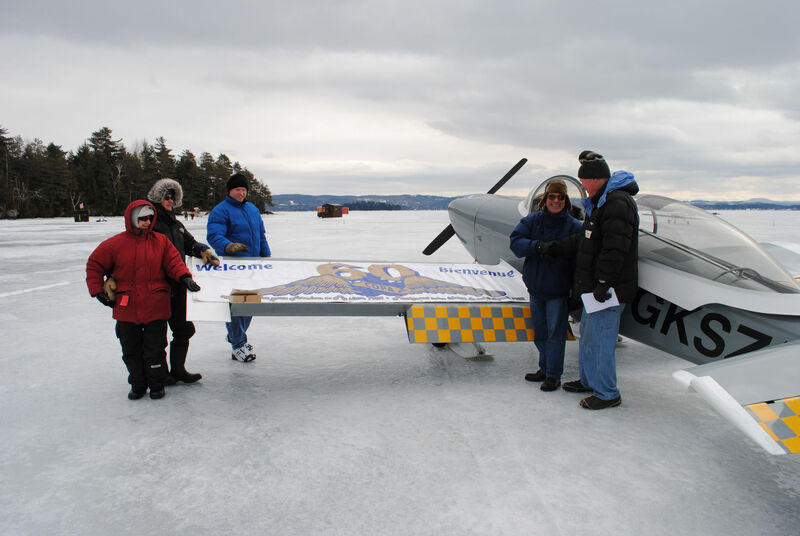 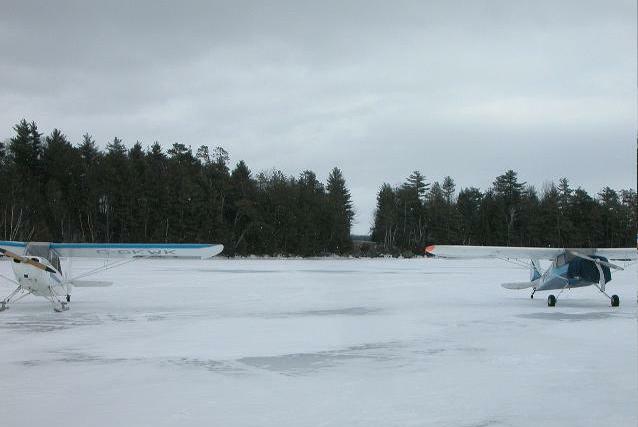 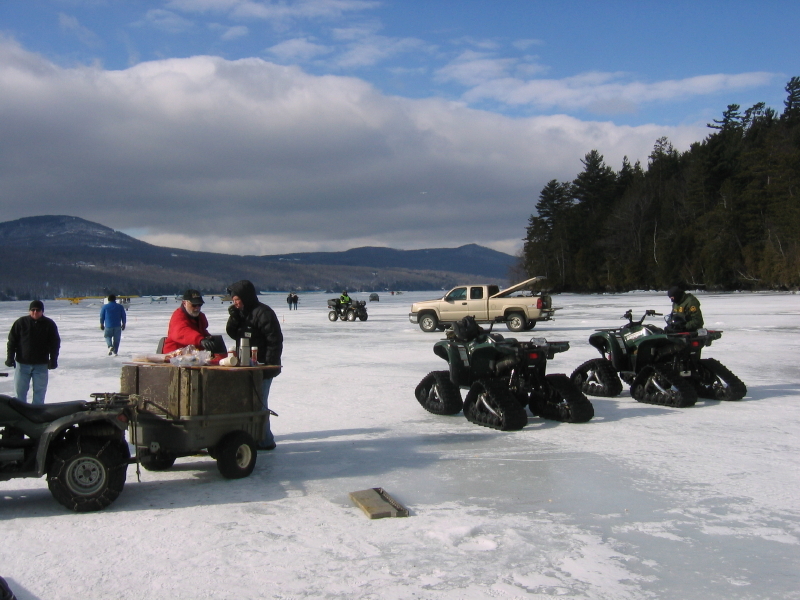 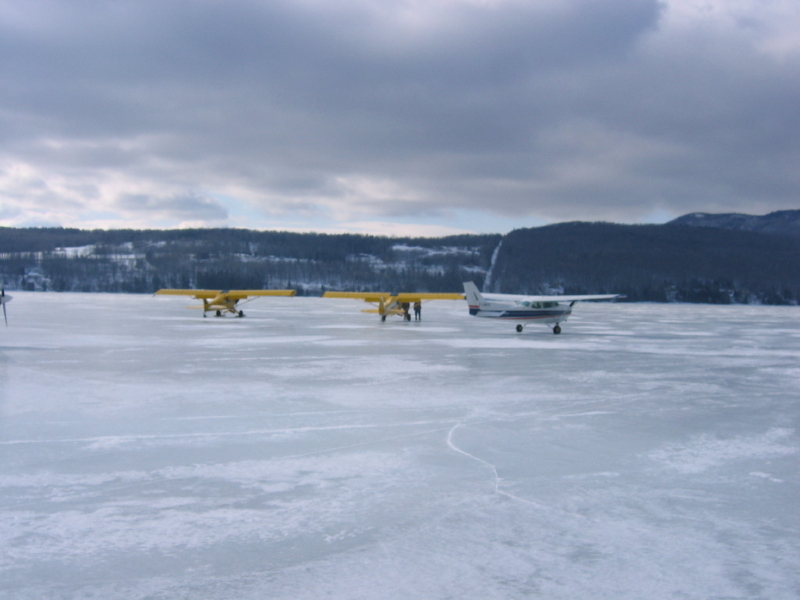 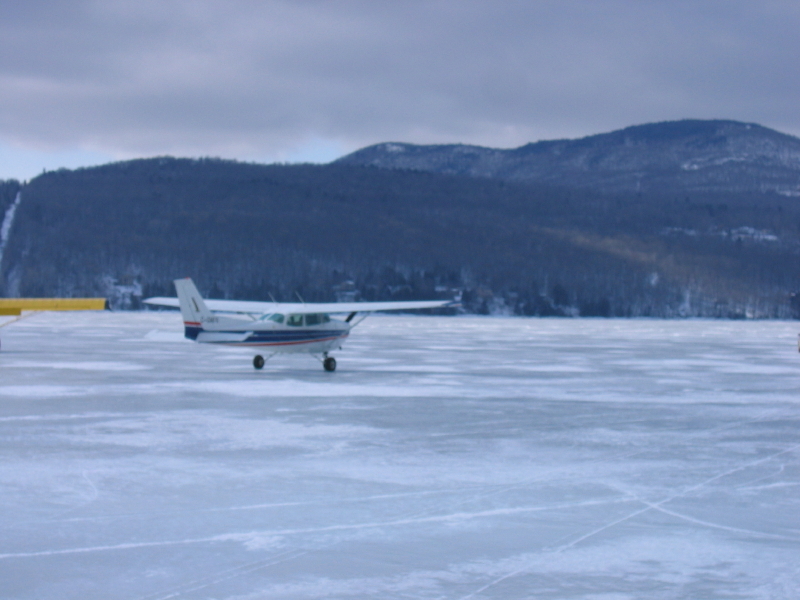 We held our fourth annual Ski Fly Meet on Lake Memphremagog on Sunday February 19 2012 where we flew onto the ice on our respective sides of the border and met at the border line. 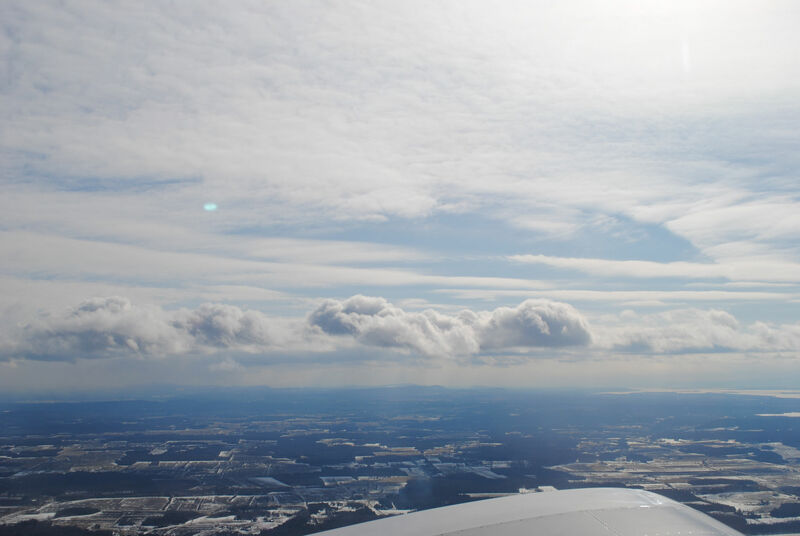 I am glad to learn that you are organizing another event. 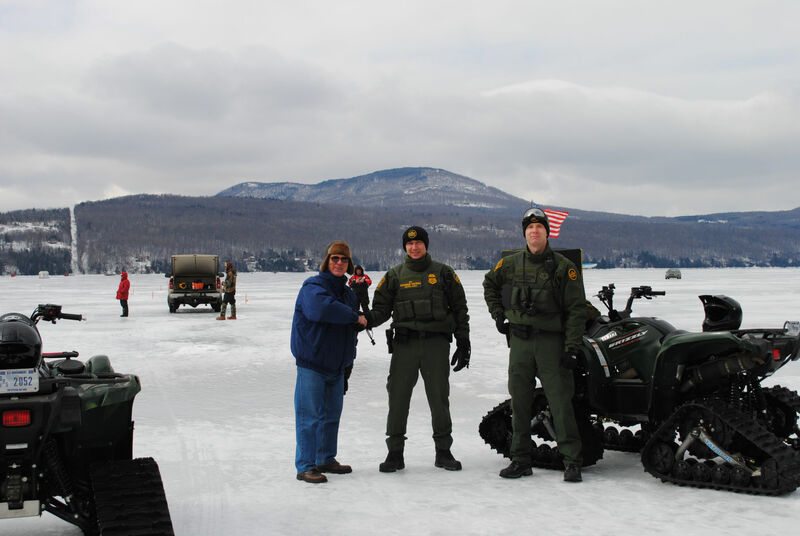 I have consulted Fernando Beltran, Patrol Agent in Charge of Newport Station United States Border Patrol and Miguel Begin, area Ports Director for the Canada Border Services Agency. 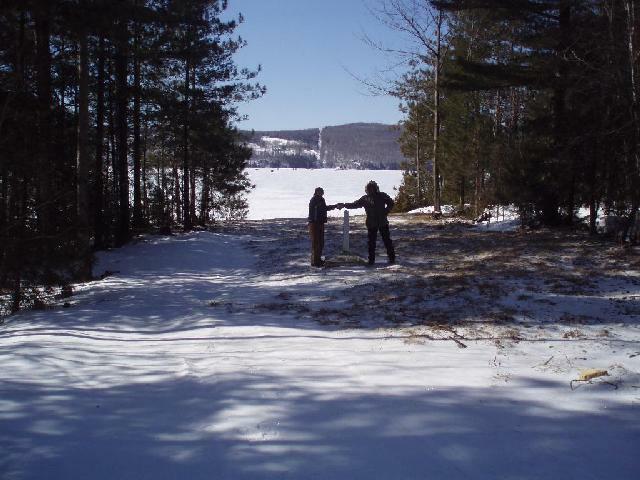 Both are in agreement with your request and Mr. Beltran is comfortable with you having minor contact across the line. 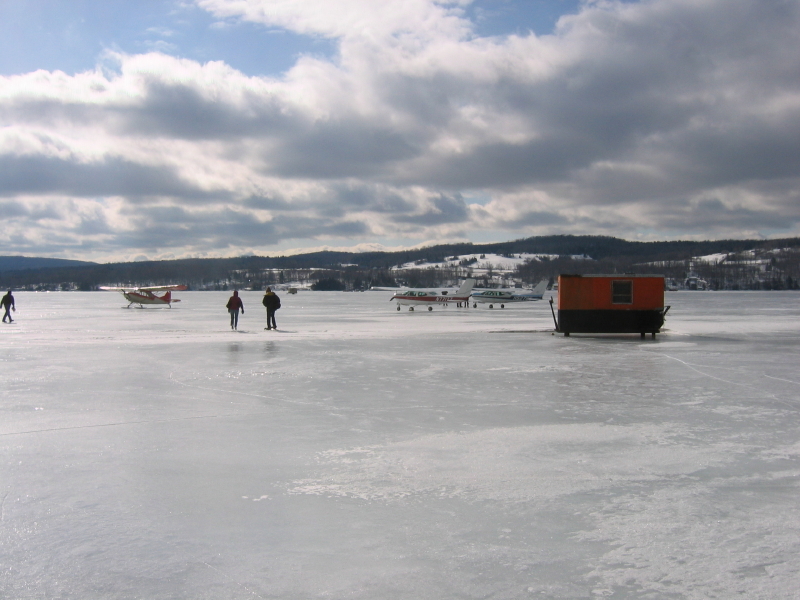 There must be no exchange of goods and no crossing the line with intent to enter the country to stay without reporting. 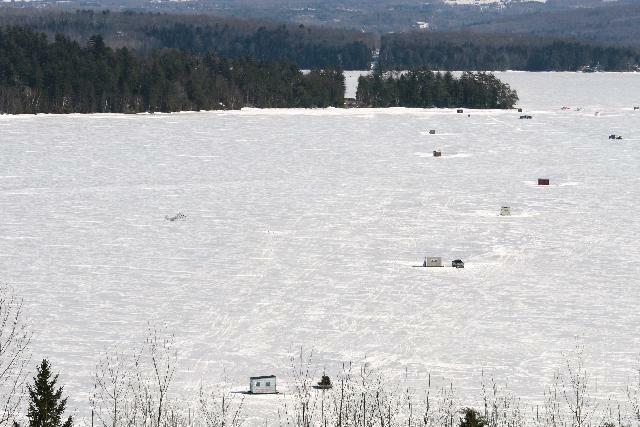 I have requested Pierre Fortier from our Integrated Border Enforcement Team to be your contact and to take care of any further coordination that is needed. 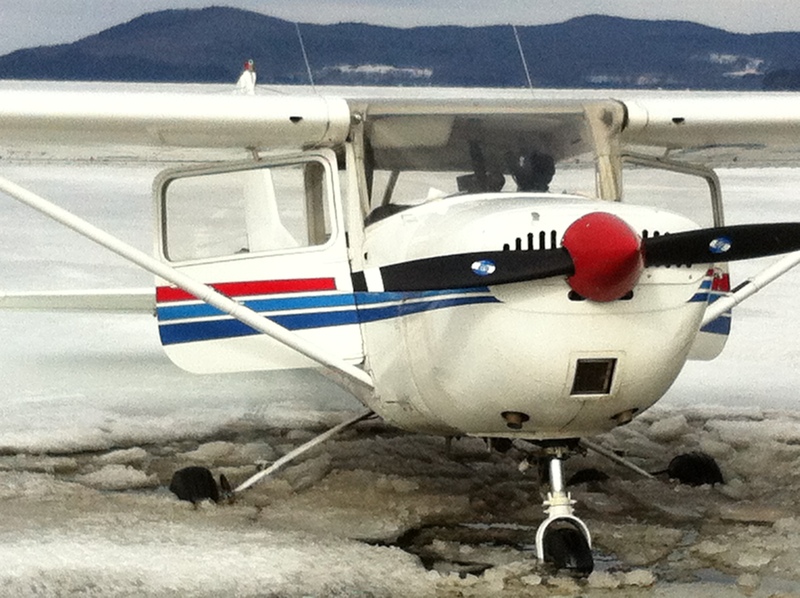 Please feel free to contact Pierre at tel: 819-876-2372. 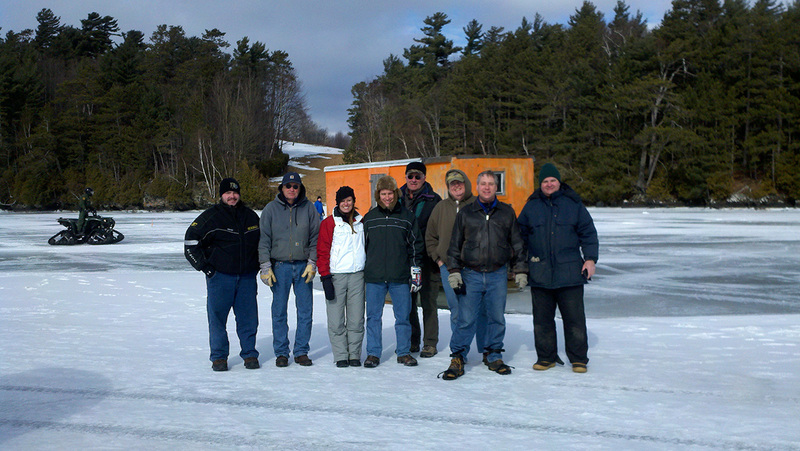 All the best for a successful event!